Web Intro with CTA from Hedge Protection Ministries on Vimeo. 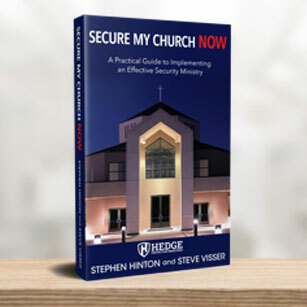 Hedge Protection Ministries was developed for the sole mission of assisting churches with development, implementation, and maintenance of healthy security ministries. Having been tasked with developing a security ministry in our own church, we very quickly realized there was a very limited amount of information available to churches seeking to increase the level of protection being provided to their members during their services. We have developed a step by step program that will educate, encourage and assist you through what some might consider a very daunting task. With our assistance… that task becomes a lot less daunting. Engages your members in the defense of your congregation. Provides protection to members and their children during worship. Engages members in ministry who might otherwise never serve. Quiz following each training module verifying subject matter understanding. Team “Training Track” allowing leaders to monitor member’s training progress. Access to an Incident Reporting. Access to frequently asked questions section. A subscription allows us to come alongside and partner with your ministry for the long term. This is NOT just a weekend seminar where you take a bunch of notes and then when we leave… you’re left scratching your head. This subscription provides your team with unlimited on-demand training through our video library. Your team will have access to our blog, incident reviews, live and podcast training events, interviews with offenders, and so much more. Just as we encourage your ministry to adopt a “continuous improvement” posture… Hedge will practice what it preaches! We to will strive to constantly improve this site and the service we provide our members. We have created an incident reporting page where you can share the details of incidents which we will help you assess and then send out “lessons learned” to other members. Please note that we will always protect the identity of your church when discussing any incident on this site. Implementing an effective security ministry will take time. It is a process that will require constant assessment and improvement. As new threats emerge, adjusting to meet these new threats will require additional training. As team members move in and out of the ministry, the new members will need training as well. Members who will be working in a new position or one they have not worked for several months may need a quick refresher as to what their responsibilities are… and we make that available to them. Based on our experience, we know that your team will need hands-on assistance for several years to come. We have based our program on a subscription plan wherein pricing is adjustable depending on the number of personnel who will need access to training. There are scholarships available to assist new church plants as well as indigent churches with limited resources. Please contact us at info@hedgeminisries.org for more information. Here is a list of some of the security training available to you through your subscription. We are constantly reviewing existing programs and adding new ones, so your team will benefit from a growing knowledge base and a constantly improving church security training program. A practical guide for anyone interested in developing and maintaining an effective and Biblically-based security ministry. We pray that this book will guide you as you set out to protect your church family from those who would seek to harm it. 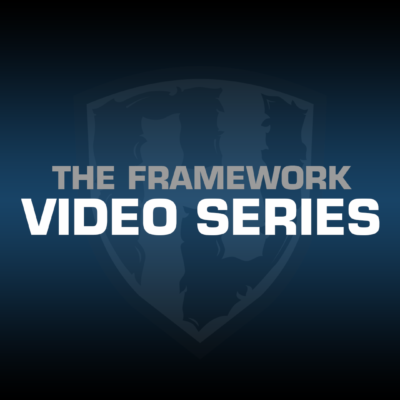 Our Framework Series provides your leadership with a "framework" on which they can begin the process of developing a Biblically-based church security ministry. We will teach you how to "think through" every aspect of implementing your teams. This is the starting point for your team training! Our Basic Training provides video-based training for each position on your team. It includes training on protecting your children, your services, your staff, your building and your finances.